Customers are billed the first week of the month for conference call usage from the previous month. If there is no account usage during the month, there will be no billing. There are no account fees, no prepayment, no set up fees, no monthly fees of any kind. There is no term commitment and no minimum usage requirement. Per minute rates are billed based on the country rates of each of the attendees, per minute per participant. The dial-out feature is enabled by default. The moderator can dial-out to any phone number globally to add an attendee to the call. Dial-out calls are billed to the account owner, not the attendee. If you use the dial-out option, your call is routed through our international conferencing bridge and does not involve your local phone company to dial-out and add a participant to your call. Optional for mobile or remote connectivity enabling ease of access to the conference call without dialing an access number. Very useful in countries that have NO local or toll-free access number. 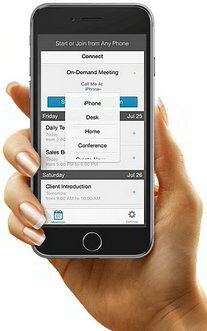 The Free Connect App works with iPhone, Blackberry, Android, PC or Mac. to avoid dialing an access number to join a conference call. A download link is included with account activation email. All accounts receive a detailed monthly statement itemizing all call details for the previous month. A monthly invoice is sent to the email address on file. We are delighted to provide free trial accounts to businesses. Typically free trial accounts are 7 to 10 days in duration. A trial account provides potential customers with direct experience with the service. Customers can choose to convert the trial account to a standard account at end of trial period. Free trials must be requested by email to receive special trial request link. Trial accounts are provided to businesses that have a company website that is operational, not under construction. The requester must have an email address with a domain name matching website domain. Other qualifications may apply for trial accounts. To protect all parties, service requests are verified. We reserve the right to request additional order clarifications if necessary or to deny service.